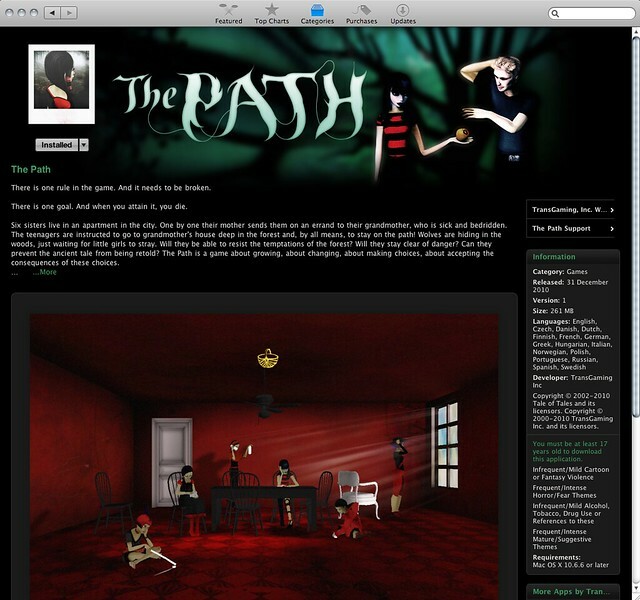 Apple has chosen The Path as a “Staff Favorite” and is currently featuring the game on the front page! Consequently, we’ve gotten a nice page re-design. ahhh, that’s better! This entry is filed under Promotion. You can follow any responses to this entry through RSS 2.0. Both comments and pings are currently closed. .